Kobelco Construction Machinery Europe heads to Intermat 2018 - Kobelco Construction Machinery Europe B.V. 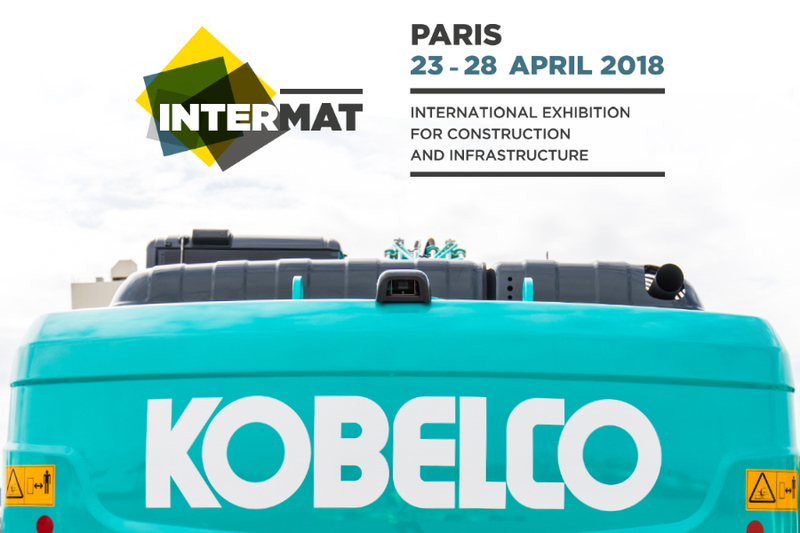 The manufacturer has a strong dealer presence in France, which enables it to service Kobelco customers across the whole of the country – Intermat provides an ideal opportunity to meet these important customers and new dealers as well as showcase its new machinery. Taking centre stage on the KCME stand (E6 C120 – outdoor area), the versatile SK400DLC-10 Demolition Machine is guaranteed to be a popular attraction. The new model, which features Kobelco’s proven NEXT system for high elevation and foundation demolition work, provides a safe and quick solution for the assembly/disassembly of attachments and maintenance and enables easy transportation between projects, for significant cost savings. In addition, KCME will showcase its SK210HLC-10 Hybrid – the world’s first lithium-ion battery powered hybrid excavator at Intermat. The model, which was launched in 2017, has one of the most technologically advanced systems of all hybrid excavators currently in the European market and is commended for its exceptional ability to increase productivity levels while reducing operational costs. Proving that high performance while reducing impact on the environment is possible, the ED160BR-5 Blade Runner will also feature on KCME’s stand. The original ED160BR-3 gained its reputation as a dual-purpose machine by excavating and dozing terrain with remarkable precision and work performance. However, the new ED160BR-5 looks set to enhance this further through an increase in working efficiency and improved fuel economy. At opposite ends of the spectrum, KCME is also pleased to exhibit the SK500LC-10, the manufacturer’s largest conventional earthmoving and construction excavator, and the super-compact SK08 and SK10SR-2 models, which are Kobelco’s smallest mini excavators and are ideal for working in confined areas. Visitors will also be able to see the SK17SR-3, SK25SR-6, SK28SR-6, SK35SR-6, SK45SRX-6 and SK55SRX-6 mini excavators, SK75SR-3 Side Drain, SK85MSR-3 Two-Piece Boom, SK140SRLC-5 Side Drain and the larger capacity SK260LC-10 Long Reach excavator on the stand as well as the all-new Kobelco CKE900G-2 hydraulic crawler crane. Intermat is one of Europe’s biggest construction and infrastructure exhibitions, welcoming more than 183,000 visitors and 1,500 exhibitors from more than 160 countries every three years. This year’s event, which takes place in Paris on 23-28 April, will focus on four key sectors to maximise visitor footfall: earthmoving and demolition; roads, minerals and foundations; buildings and concrete; lifting, handling and transportation.